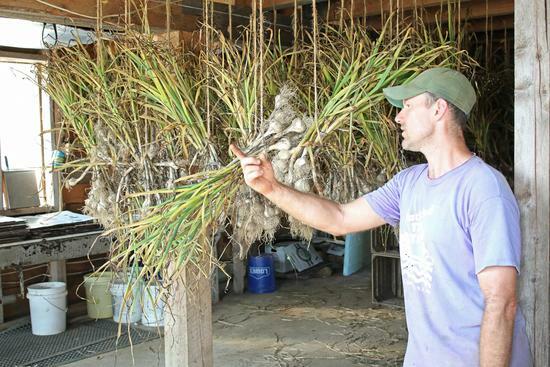 A small, organic family farm in North Penobscot, King Hill Farm opened for a tour on August 6, where farmer Paul Schultz explained the methods and principles used behind its crop and livestock production. 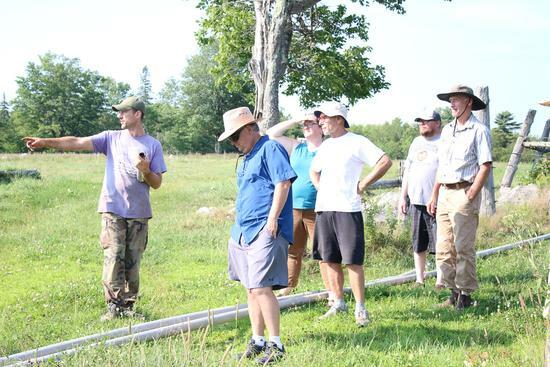 Paul Schultz explains his organic farming methods with tour participants. 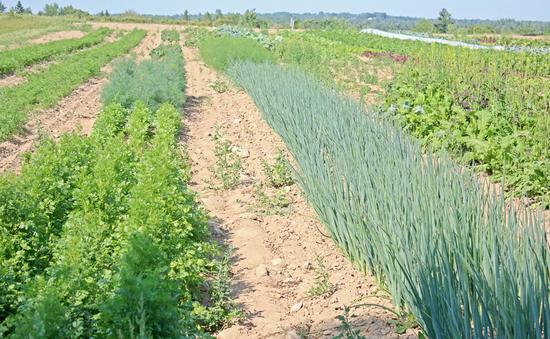 Carrots, about 12 tons’ worth, are the largest but not the only crop King Hill Farm grows, farmer Paul Schultz said on an August 6 farm tour.